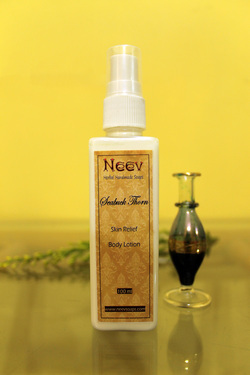 Benefits: Jojoba Oil controls sebum production, dissolves excessive oil; is rich in vitamins and an excllent moisturiser, Aloe vera is moisturising, soothing and healing, helps with sunburn; neem oil controls various skin infections; tulsi oil and cedarwood oil help in curing acne, pimples and prevents skin diseases, sandalwood is cooling and removes scars. Ingredients: coconut oil, Jojoba Oil,neem oil, emulsifying wax, Purified Water, Aloevera juice, Pure essential oils of Geranium, Nagarmotha, Cedarwood, Sandalwood and Tulsi , Potassium Sorbate, cetearyl alcohol, citric acid. 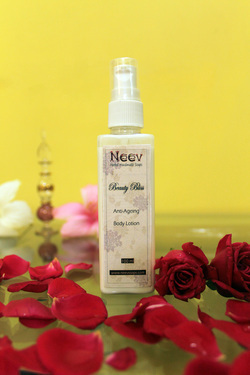 Benefits: Almond Oil is excellent moisturizer and lubricant, which prevents skin from drying; Jojoba oil dissolves the sebum that clogs the skin, and gives relief from acne, Carrot Seed oil revitalises skin, improves skin toning and elasticity, Olive oil is rich in Vit E which accounts for its anti-aging properties; astringent property of rose oil gives protection from wrinkles; sandalwood oil soothes skin and keeps it fresh and cool.. Ingredients: Almond Oil, Coconut Oil, Olive Oil, Jojoba Oil, Carrot Seed Oil, Pure Essential Oils of Rose, Rosewood, Sandalwood, Lemon, Geranium, Emulsifying Wax, Potassium Sorbate, cetearyl alcohol, citric acid. Ingredients: Seabuck Thorn oil, Jojoba Oil, Hazel Nut oil, Avacado Oil, Grapeseed Oil, emulsifying wax, Purified Water, Pure essential oils of Lavender, Geranium, Cypress, Lemon, Patchouli, and Tea tree; Potassium Sorbate, cetearyl alcohol, citric acid. Benefits : Drumstick is rich in nutrients and antioxidants, it detoxifies and cleanses, it removes impurities from skin and lightens and rejuvenates the skin, water lily is full of compounds that help reducing acne, and skin diseases. 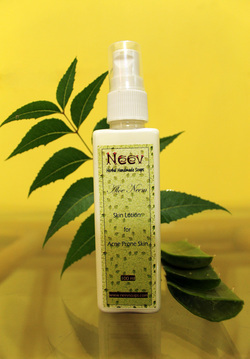 Neroli Oil is bactericidal, helps in fading the scars and marks on skin, it s a natural deodorant. Apple Cider Vinegar is a natural skin toner and cleanser, freshener.